If the flowers haven’t bloomed yet, we make our own. 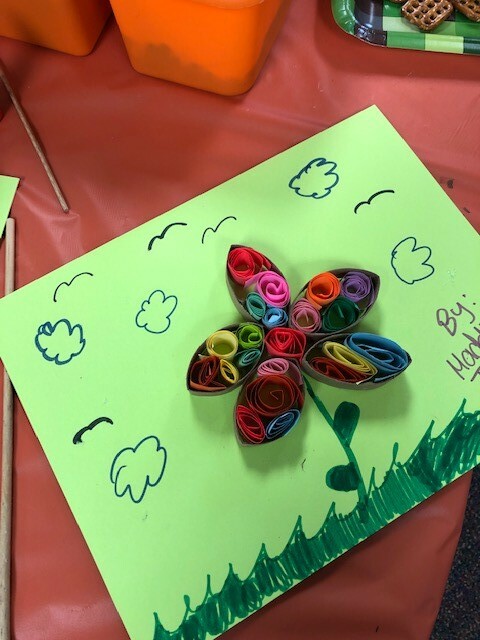 Our Masterpieces at Main Art Club welcomed spring by paper quilling gorgeous flowers earlier this month. Quilling is kind of like origami in that you use paper to make 3-dimensional artwork. Each swirling leaf and bloom really jumps off the page. If you or your family would like to try paper quilling, we have several books you can borrow to help you get started. Meanwhile, our Masterpieces at Main Art Club is always happy to welcome new members. It’s open to all kids (eight to 12 years old.) And you don’t need to paint like Picasso or sculpt like Michelangelo to participate. However, to get the most out of the club, the kids will need to be able to work independently. Also, art can get messy, so dress appropriately. Our next meeting is at 4 p.m. on Thursday, April 11. You can register online for your children to join or call us at (440) 255-8811 ext. 221. Studio MPL is now at the Lake Branch! 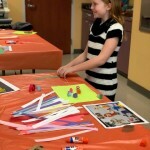 It combines a fun themed art project with a coordinating scavenger hunt through our Lake Branch. Kids can walk in and participate anytime between 3 and 7 p.m. on Monday, April 15. Kids aren’t the only ones who can get creative. Adults can join us for our Crafty Adults Club. 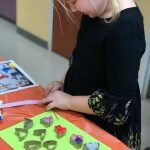 Each month, we’ll explore new mediums and crafts. We’ll meet next at 6:30 p.m. on Wednesday, March 27, at our Lake Branch. 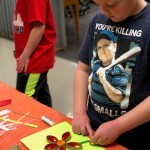 This entry was posted in Uncategorized and tagged art, Mentor Public Library, Studio MPL. Bookmark the permalink.